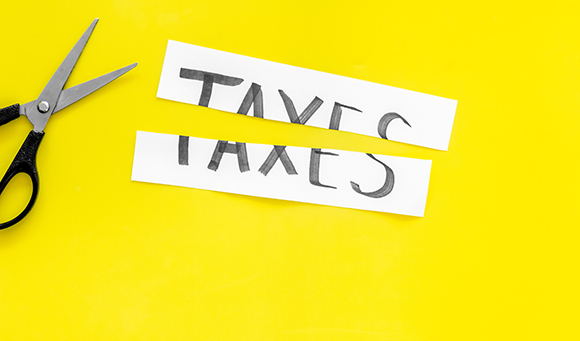 If you’re self-employed or have income that is not taxed before you receive it, such as rental income, you may have a tax bill to pay. But are you aware that depending on your tax bill, you may pay it in three instalments. A payment on account is an advance payment that is made twice a year and designed to help you spread the cost of what you owe for the next tax year. It is calculated by looking at your previous year’s tax bill. The first instalment is due on 31st January and the second on 31st July. Once you've calcuated your tax liability, the difference between your actual tax bill and the payments on account is payable by 31st January following the tax year. Who makes a payment on account? You need to make a payment on account if your tax bill is more than £1,000, unless you’ve already had more than 80% of it collected at source. This may include tax taken through your PAYE tax code or it might have been deducted from any additional income you have, e.g. interest on your bank interest. How much is a payment on account? Each of the two Payment On Account will usually be 50% of your previous tax bill. For example, if you paid £15,000 in the tax year for which you are filing your return, you will make the first Payment On Account of £7,500 on 31st January, and a second of £7,500 on 31st July. Where applicable, payments on account will include Class 4 National Insurance Contributions, but not Capital Gains Tax or student loan repayments. Payments on account are best suited for taxpayers who do not experience major changes in their taxable income as they are based on your income from the previous year. Should you find that your payments on account end up being higher than your tax bill, HM Revenue & Customs (HMRC) will refund the difference. And if you experience a drop in business profits or your taxable income is down, you can request that HMRC reduce your payments on account if you think your tax bill is going to be lower than the previous year. But do keep in mind that if you still have tax to pay after you’ve made your payments on account, not only will you have to make a ‘balancing payment’ but you may also be charged interest and penalties if you end up paying too little. You must pay your balance by midnight 31st January after the end of the tax year. If you are required to make payments on account, budgeting for your tax bill can be even more important. In the first year they arise, they effectively accelerate your tax payments and the result is that in your first January, you could be faced with paying 150% of your tax bill, although 50% of it counts as an advance payment for next year. As a rule of thumb, we would recommend that you set aside a quarter of your profits for your tax bill. If you’re a higher rate taxpayer, i.e. your profits or income are more than £40,000, you may prefer to increase the amount you set aside to a third. If you have questions surrounding payments on account or your tax bill, contact your local TaxAssist Accountant. They can discuss with you what your options are and whether you could reduce or defer your tax payments.